What makes one attorney bio better than another? One place to look for answers is the Marque firm, based in Sydney, Australia. After reading one, you want to read them all. But in my opinion, in addition to being all the above, the bios found on the Marque website include another special quality, one that is seldom seen. They’re not resumes! The Marque bios wrap all the dull resume stuff up and place it into downloadable PDFs whose links are off to the side. What an interesting idea. It places the focus of the reader’s attention on other, presumably more important or memorable information about the attorney. If you really want to see a resume, it’s there, but I wonder how often anyone does. Ready for a new type of bio? The majority of attorney bios are essentially, structured resumes coupled with dense, fact-packed paragraphs. Unfortunately, this format does not make for the most memorable of reads. 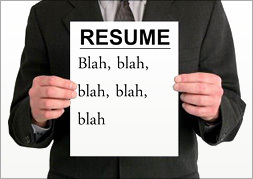 But are law firms ready for bios that lead with something other than their resumes? What about a bio that conveys warmth or perhaps some humor? I suspect that we’ll begin to see more law firms thinking about how their attorney bios can become more engaging. Hopefully, the Marque website bios will provide them with some inspiration. The Marque bios aren't perfect, but they include elements that are worthy of borrowing.